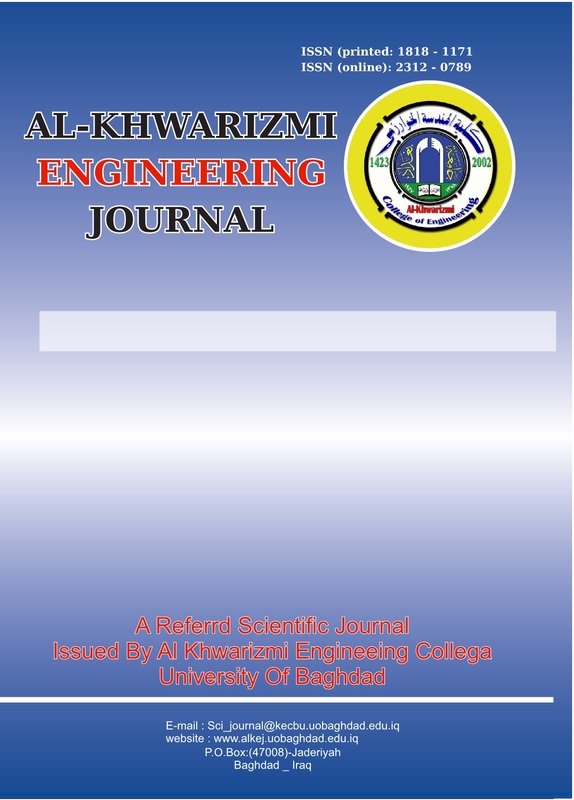 Al-Khwarizmi Engineering Journal (KEJ) is publishing by the AL-Khwarizmi college of Engineering – University of Baghdad. KEJ is open access; peer reviewed and published quarterly online and in print version. Manuscripts may be submitting in English language. KEJ is devoted to the publication of high quality scientific papers on theoretical as well as practical developments in all areas of Engineering and Technology that has not previously been published and not been submitted for publication elsewhere in any format and that there are no ethical concerns with the contents or data collection. At least two referees, who known scholars in their fields, evaluate each paper. The publication of an article in a peer-reviewed journal is an essential building block in the development of a coherent and respected network of knowledge. It is a direct reflection of the quality of work of the author and the institutions that support them. Peer-reviewed articles support and embody the scientific method. It is therefore important to agree upon standards of expected ethical behavior. Not allowed offensive, abusive, racist or obscene or sexual connotations.